It’s an emotional language that spans cultures, economics and demographics. When children are given the chance to make music, they can express themselves while creating emotional common ground with others. Amani in Kiswahili. Harmony. We’re starting in four countries: Tanzania, Colombia, India, and the United States. In each place, Amani Project creates a partner network of local NGOs and nonprofits who support and nurture all phases of the Amani Project. We work together in pilot locations that are selected by a few key factors, including income and gender inequality, partner capacity, and potential for growth. Our partners take the lead. Every community makes music in its own way, according to its own experiences. Local artists are the experts on how to inspire their towns and villages. We work together to localize all aspects of Amani – from the core curriculum, to support materials, to program improvements. The result is a program that is customized by each community. Amani is led by young people age 8 to 14, starting with a 5 or 10-day train-the-trainer workshop focused on emotional intelligence and music-making. We send our international training experts to work alongside our local partners. The typical program is 3 hours-per-day and takes place out-of-school. The participants engage in activities that introduce basic music theory, emotional intelligence, and music composition. By the end of the Amani Project launch, each participant will have created their own musical instrument using "found-objects," learned how to recognize and regulate their emotions using the Mood Meter tool developed by the Yale Center for Emotional Intelligence, and written an "empathy song" together with fellow participants. Each Amani workshop concludes with performance and sharing that makes an immediate difference in the lives of the participants. We make music using a process of self-reflection and teamwork that breaks down barriers and builds emotional understanding. The result is a self-sustaining group of young leaders who drive the project in each country and each community. Together with our local partners, participants and mentors from the Launch create Amani Project clubs in their communities. The clubs allow participants to develop leadership skills by introducing the music-making and emotional intelligence skills to additional participants. The clubs work together to become "artivists" in their communities, with the main goal of working towards gender equity. The first Amani Project clubs are being established in Tanzania and Colombia in 2018. Stay tuned to follow their progress! Amani Project works closely with our local partners to monitor and evaluate every program. Amani Project clubs are provided a clear way to measure success and will use this data to constantly improve their programs. 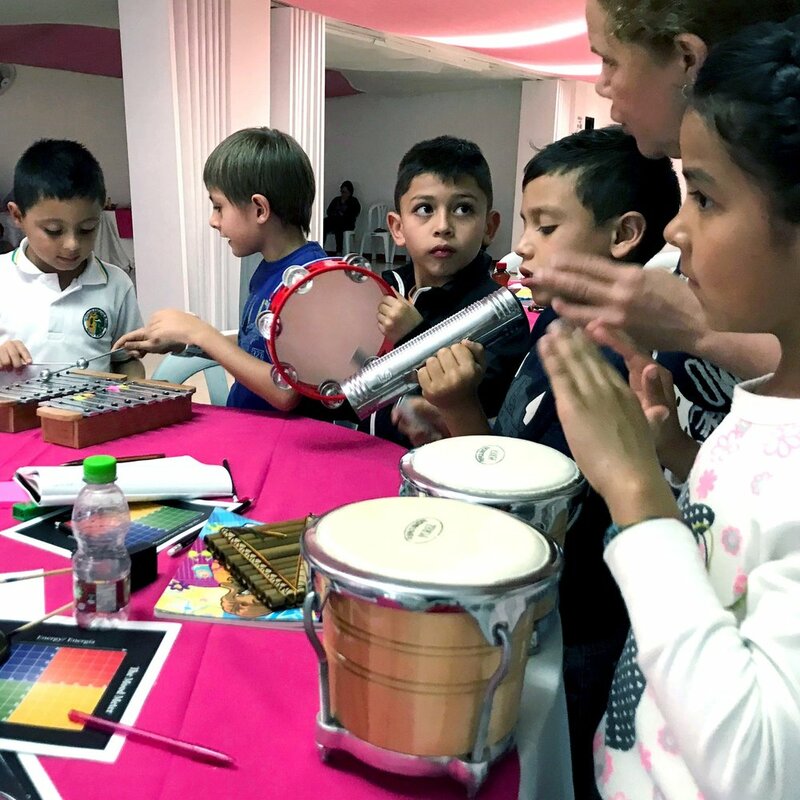 As these participants and mentors lead the Projects throughout the year, children around the globe will learn the power of emotional intelligence through making music.